Merry Christmas! 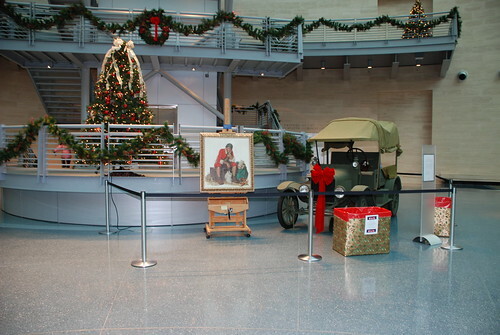 The Marine Corps Museum has lots of things planned this holiday season, check out the Museum calendar of events. This weekend is Family Day. Santa will be making a special visit for all the local boys and girls, young and old who make a visit on Saturday, December 14th. Unfortunately, I will not be there that day as I have to take Gracie to an adoption event at Pet Smart. The gal who was interested in adopting her decided she couldn't do it at this time. I'll blog about that later. 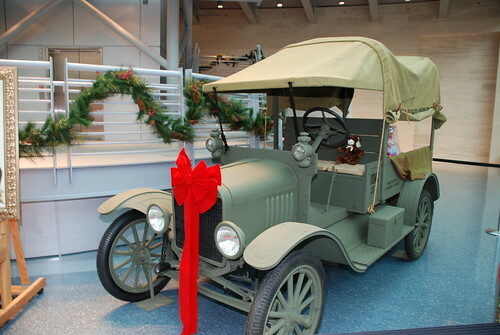 The truck you see above is an actual Ford truck, circa World War 1. 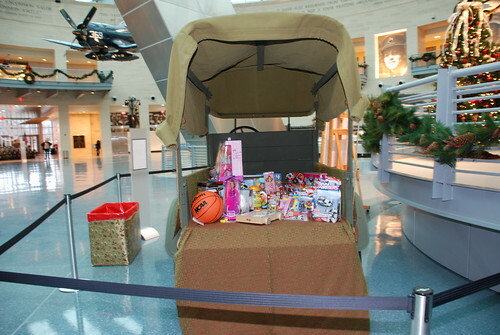 The Museum's goal is to fill the back with toys for the Marine Corps Toys for Tots program. As you can see, there is still a lot of room (of course this had only been up for three days at the time this picture was taken. I'll take another one when I'm down for our docent meeting this week. So, if you come for a museum visit or to chat with Santa, be sure to bring a new, unwrapped toy to add to the collection. 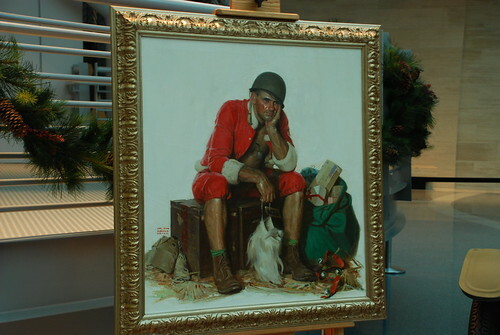 The painting below is a Tom Lovell original that is part of the Marine Corps Combat Art collection. This is a World War 2 Marine in the South Pacific, I'm sure, dreaming of a white Christmas at home with his family. I have more to show you of the special trees, but I'll save that for later this week.